I’m sitting in Munich right now having just finished at the Huawei Press event. We saw the bigwigs at Huawei talk about their latest release, the brand new Huawei Mate 9. 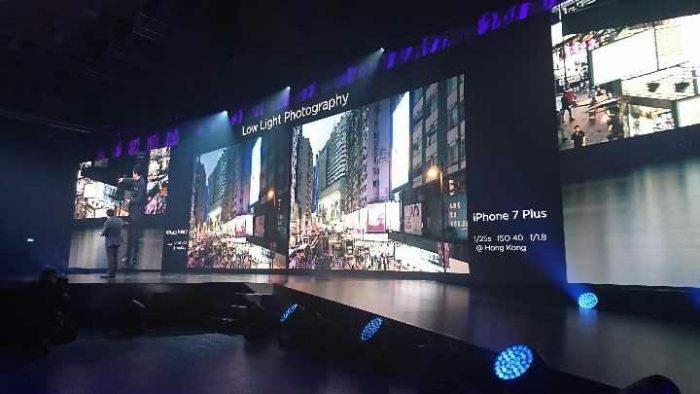 There’s been lots of speculation about the specs and looks of this particular phone. Some people have even suggested that it could fill the void that has been left by the combustible Note 7. However, up until now all of those things have been just rumour and suggestion, so let’s get down to some hard and fast facts. Let’s start with the fact that there are 2 versions of the phone. One is the standard Mate 9 and the second will be a Porsche Design (PD) version. The big difference between the two versions are the cost, storage capacity, RAM and the screens used. On the standard Mate 9 we find a flat edged 5.9″ screen with a 1080p resolution. The PD version will have curved edges, very much of the same design as on the Galaxy S7 edge.The resolution of the PD jumps up to 4K whilst dropping to a 5.5″ screen size. The glass is also using Gorillia Glass 4 which bodes well for the resilience of the unit. It also provides a really nice feel when you’re using the display.The PD Version will also have the Fingerprint reader mounted in the front of the phone, instead of in the back like the standard Mate 9. Both fingerprint readers are gesture aware as well as Huawei have done before. 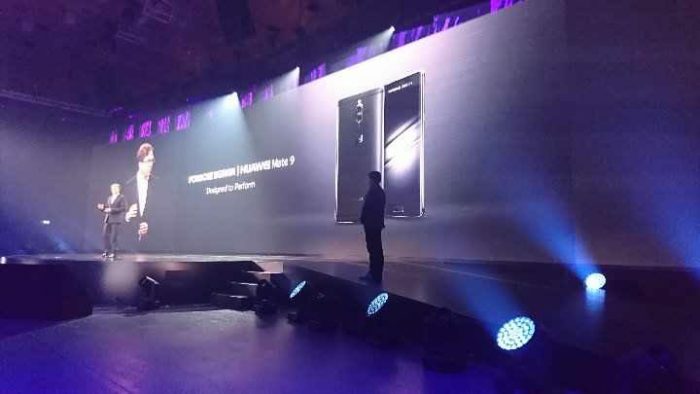 Underneath the screens on both models is the Huawei Kirin 960 processor. 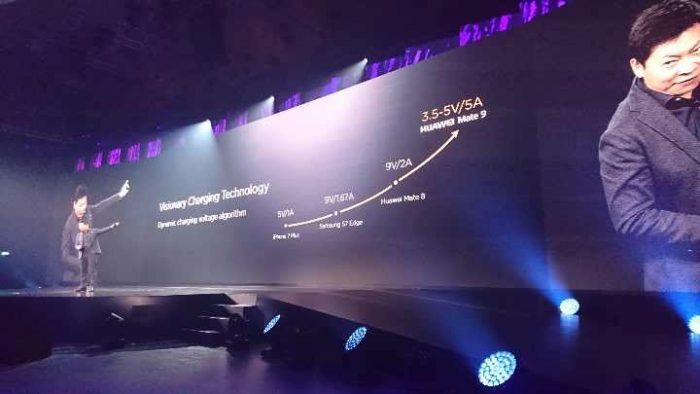 This is latest and greatest chip from Huawei’s Hi-Silicon brand and is looking comparable with that of the Qualcomm Snapdragon 820 series. The chip is an octa-core unit rated at 2.6GHz which is arranged in a “big little” design. The chip is the latest ARM Cortex-A73/A53 Octa-core CPU and Mali G71 Octa-core GPU. 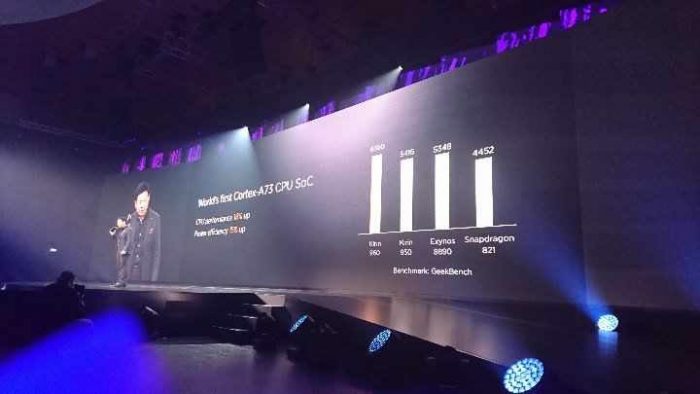 Huawei are the first to use both of these chips so far and the most powerful chips according to Geekbench 4.0.0 multi-core CPU performance and DDR performance tests. This will ensure snappy performance in all aspects especially when paired with the 4GB RAM on the standard phone. However, if you opt for the PD variant then you will be able to enjoy up to 6GB of RAM. Again, the storage size will differ between the standard and PD version. The former has up to 64GB and the later having up to 256GB. In addition, you’ll get the microSD card that will be supported on both phones up to 256GB. In theory, this means that your phone could have a bigger memory capacity than most ultrabooks on the market, a fact that still boggles my mind slightly! 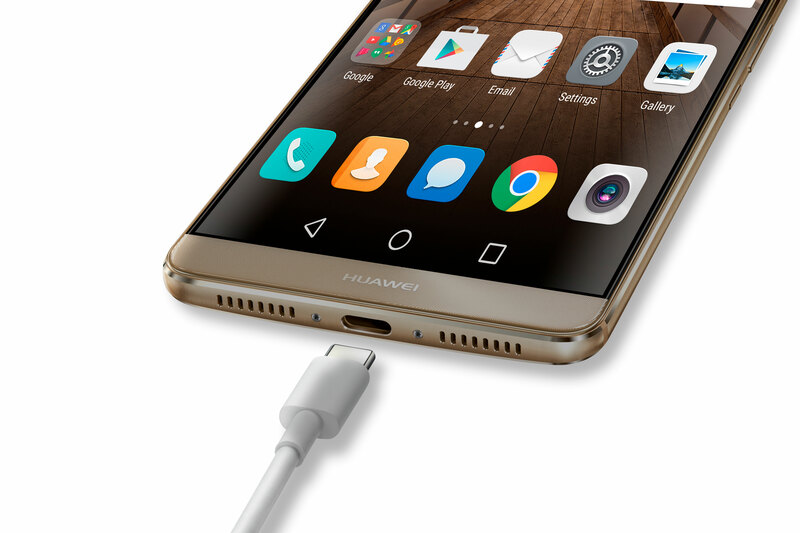 Huawei has put their fine attention to detail into the making of the antenna’s on this device. They have given the phone the very best chance for it to receive signal in all scenarios regardless of which medium you are connecting to. It is something that they are very proud. With the phone being a true world phone they are aiming this at frequent travellers as one of their key marketing segments. it is going to support 7 WCDMA bands and 4 GSM bands which pretty sweet. I know what phone I will taking on my next international trip! Another area that has been a big focus for the Mate family line over the past few years is the battery. 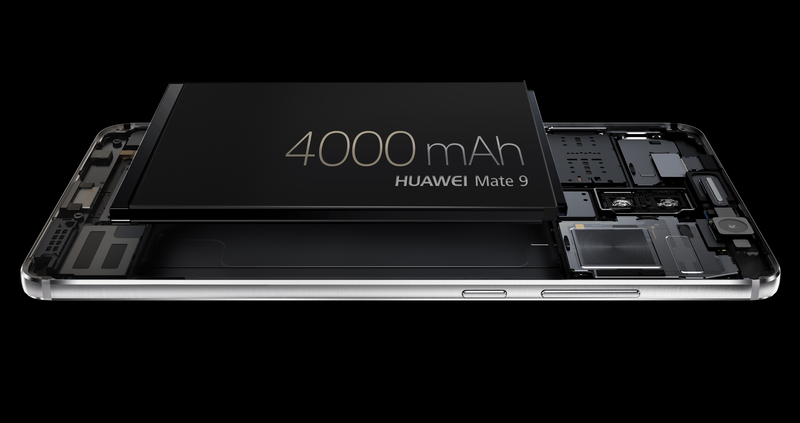 Rest assured that this is an area where corners have not been cut, as the Mate 9 standard has a massive 4000mAh battery on board. this proported to be good for 2 days “real world” usage. The PD version has got a slightly lower capacity but it is also driving a samller screen so should still hit the same metics. 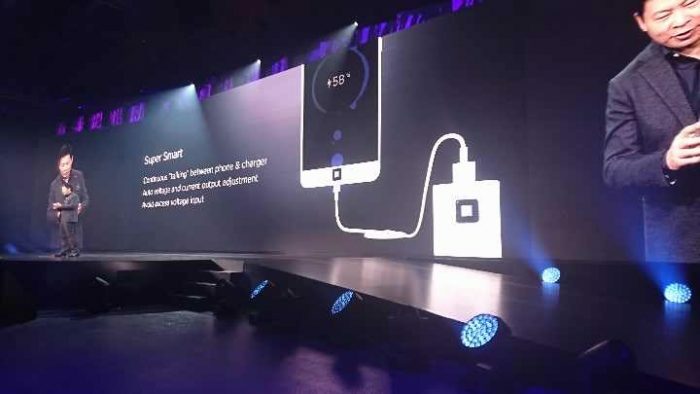 This is in addition to their own version of Qualcomm’s quick charge protocol. They call this “Super Charge”. 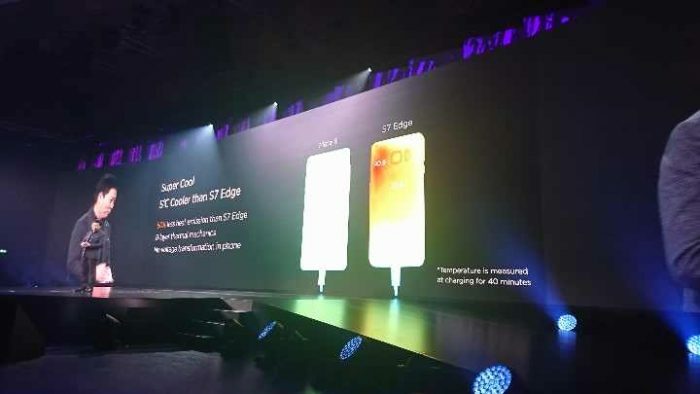 This will allow the phone to charge up to 50% in 2o mins meaning that it is very much hot on the heels of the other flagships from the likes of Samsung etc. The battery uses slightly newer technology to allow for this rapid charging and it has been painstakingly tested from the ground up in order to avoid the disaster of the Note 7. Another really neat feature of the Mate range is that this battery can be used as a power supply for other devices. With 4000mAh to share, this is very handy. The big news, of course, is the new camera. 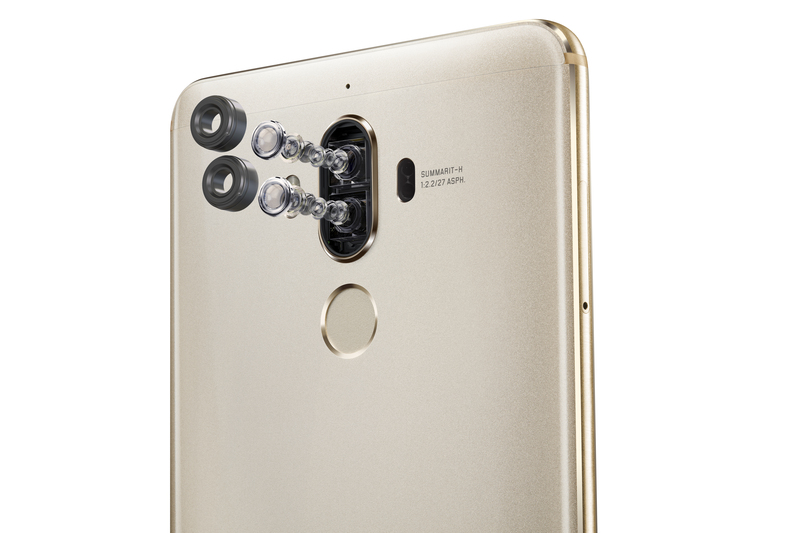 Actually, it’s perhaps doing Huawei a disservice as the P9 actually has two Lecia co-developed cameras onboard. This time we find that the RGB sensor has been increased to a 20MP sensor and the Monochrome one is still at 12MP. 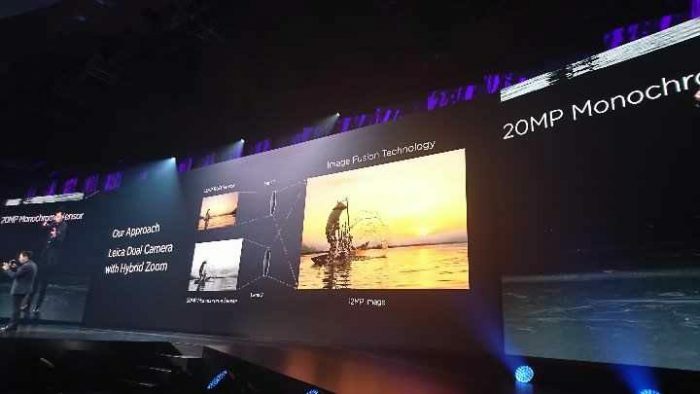 This will hopefully allow for a much better end image, although that being said the P9 (with its two 12MP sensors) was very good. As is always the case with these things, the proof will be in the testing, though. Also found nestled next to the camera is a Dual LED and dual tone flash. 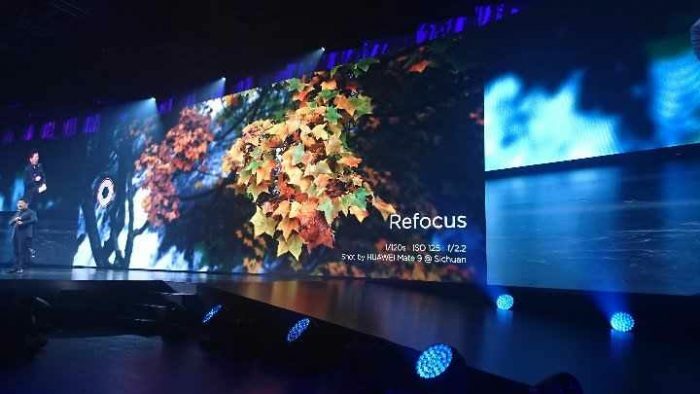 The camera, as expected, also features 4-1 Hybrid Auto-focus that features laser focus, phase detection focus, depth focus and contrast focus and optical image stabilisation. All in this does look like a really nice camera setup and I am excited to start using it in anger. Other features are really what you would be expecting from a flagship device. 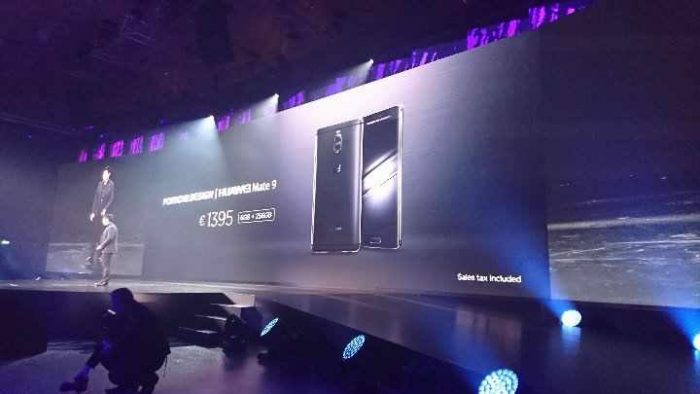 We have a fingerprint reader on the back which has the awesome speed that we are accustomed to from Huawei devices of late. We also have an accelerometer, gyro, proximity sensor, barometer and compass on board. What is really nice to see here is NFC. This means that the phone will be fully compliant with Android Pay and other contactless payment options. It is nice to see Chinese manufacturers including this feature, particularly in devices that are being aimed at the European markets. The phones are both going to be running Android 7.0 out of the box, which makes it the second non-Google device to be doing so after the LG V20. 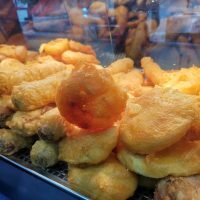 Sadly we will not be seeing that in the UK anytime soon. On top of the Android OS is Huawei’s EMUI5.0 that has some very nifty looking features including the ability to utilise the dual sim aspect of the phone. if you like me are someone who carries 2 phones then you may no longer need to that as you can now have Whats App and Facebook Messenger running on both sims at the same time. Please bear in mind is dependant on you having the Dual Sim and this may not appear on our shores especially if it is through a network retailer. The build quality of the phone is stunning and it really does feel beautiful in the hand. Whilst it is quite large in size, it is still manageable. Bear in mind thought that you will not be using this in one hand very often as it is a bit of a stretch to do so. The pricing for the phones is pretty special with the standard Mate 9 coming in at £624 and the PD Mate 9 costing £1245 when it lands in January of 2017. Before we leave things though we did also get shown the Huawei Fit which is the new fitness band I didn’t get a chance to get any time with that specific device. 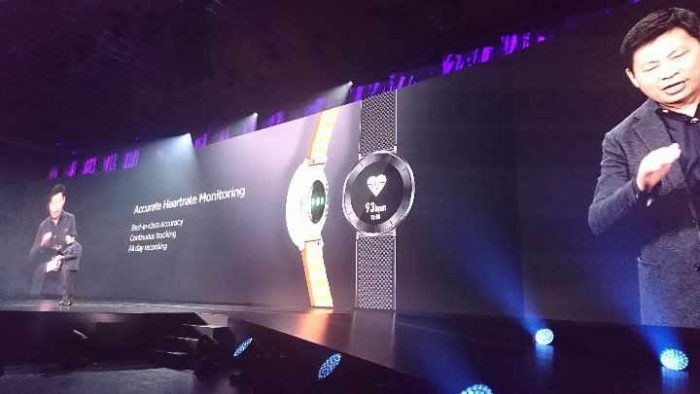 It is essentially Huawei’s idea of a Fitbit. We will cover it in a separate article. That about rounds it up for the device, to be honest. 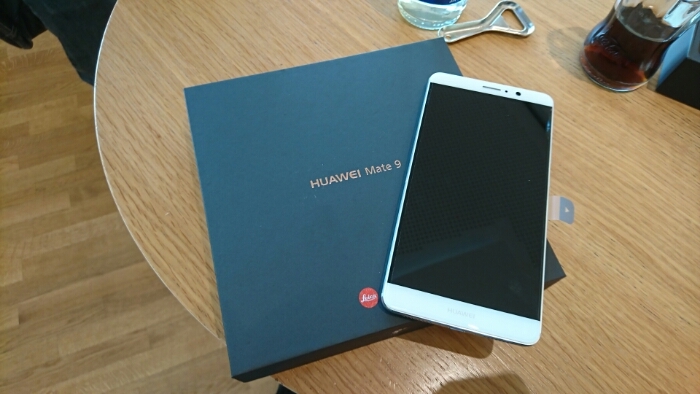 We will have a full unboxing and review coming up soon so keep it glued here for more to come from the Mate 9. 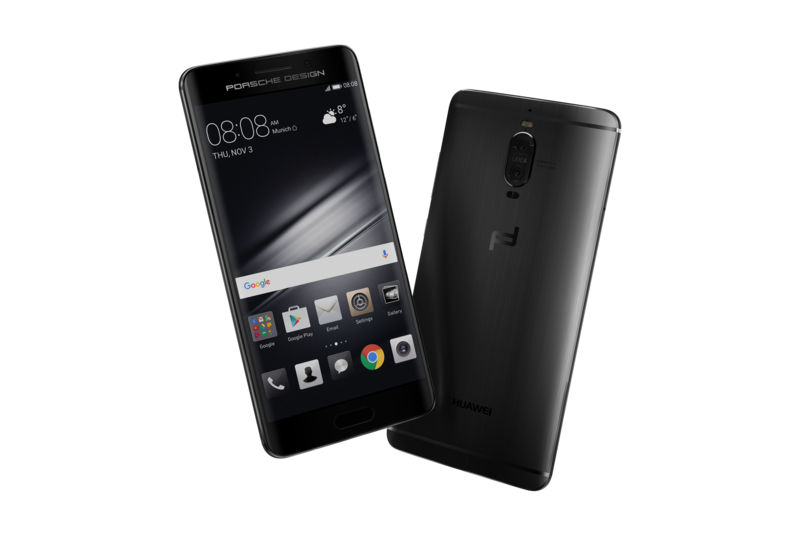 Munich – Nov. 3, 2016 – Today at an exclusive global launch event, Huawei Consumer Business Group unveiled two of the most anticipated devices of the year – the HUAWEI Mate 9 and the exclusive PORSCHE DESIGN HUAWEI Mate 9. 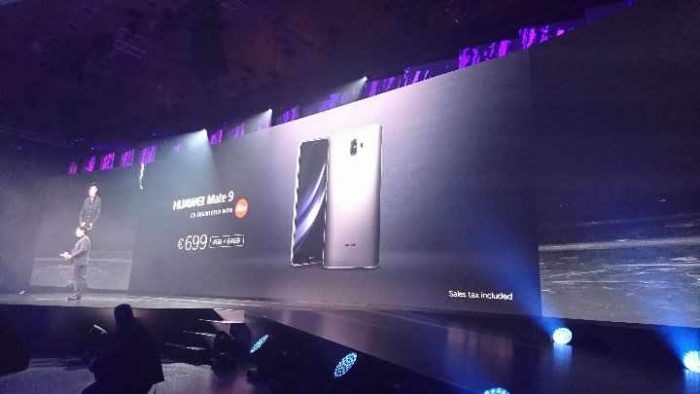 Building on Huawei’s success in delivering beautifully-designed, powerful mobile devices, the newest members of the Mate Series provides users with an all new Android experience – featuring the Kirin 960 for the fastest computing performance, SuperCharge technology and a stunning new UX. 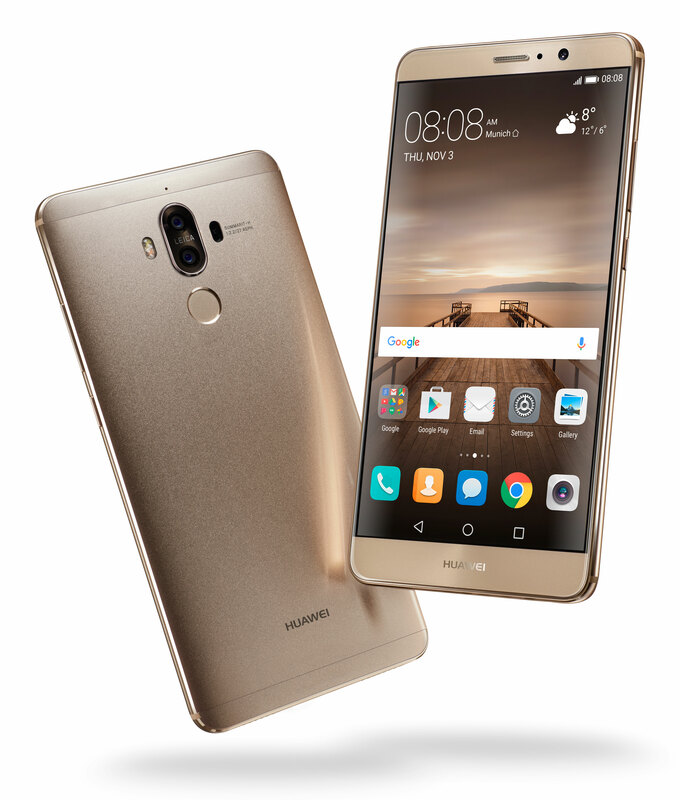 The HUAWEI Mate 9 is available in Black, Space Gray, Moonlight Silver, Champagne Gold, Mocha Brown and Ceramic White. 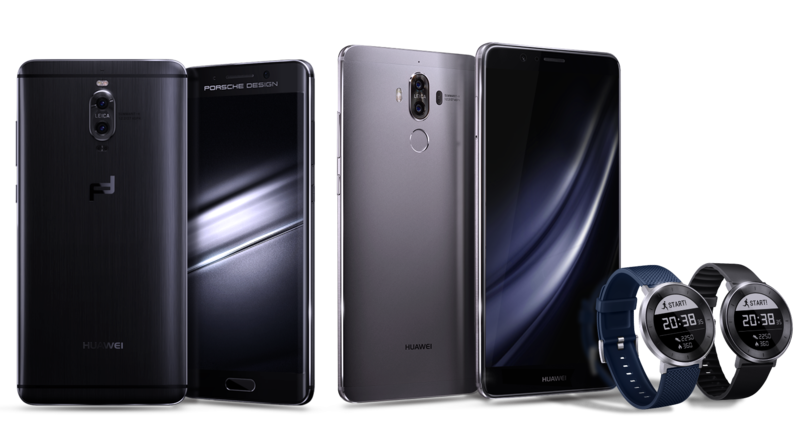 The HUAWEI FIT is available in Titanium Gray and Moonlight Silver for €149 in the following first-wave launch markets: France, Germany, Italy, Netherlands, Portugal and the United States.